St. Maximilian Kolbe! As my husband likes to say, "He's the man!!" Of course he says that about a lot of guy saints. 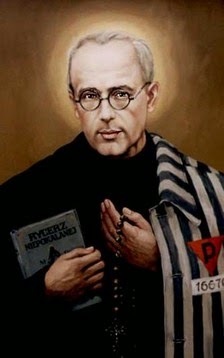 :-) If you don't know about this wonderful saint who had a pure love of the Immaulata and gave his life for another man at a Nazi German death camp, then please read about him HERE and HERE. His feast day is August 14. 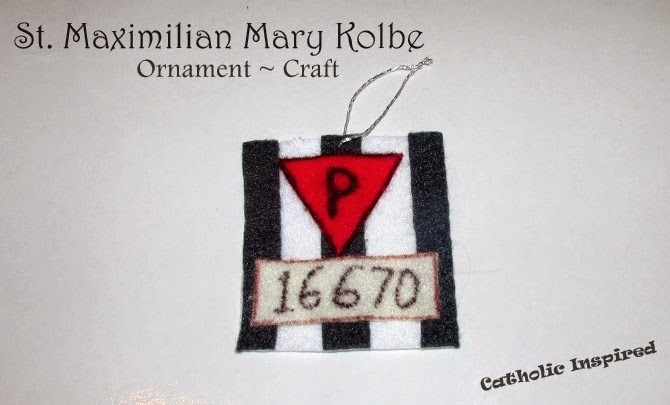 St. Maximilian's ornament is a "piece" of his prison shirt. 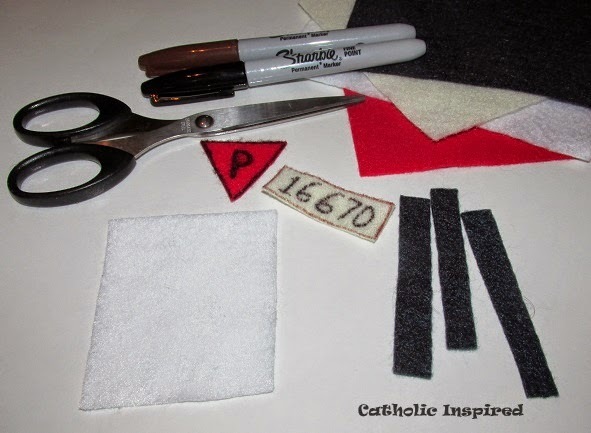 Elizabeth and I cut out black felt strips and glued them onto a white square. We added a red triangle with a "P" drawn on it with a black sharpie marker. We also outlined the red triangle. We wrote St. Max's prisoner number - 16670 - on an off-white rectangle. We also outlined it with a brown permanent marker and then glued it all on to the black and white striped square. St. Maximilian Mary Koble, Pray for us!